Social media is universal, everyone has access to it, and more importantly almost everyone uses it. While the general public uses social media primarily for pleasure and entertainment, the platforms also provides marketers a unique opportunity to connect with their audience/ customers. The key to efficiently using social media lies in the marketing strategies you put into play. Everyone can post a cute picture and caption but only a skilled marketer knows the value of employing social media marketing strategies and activity. While employing marketing initiatives, it is common for companies to pick up social media bad habits regarding social media usage. The worst bad social media habits a company can pick up is focusing on vanity metrics. While it is important to post quality images and content that will appeal to the general public, tracking the amount of followers gained and on the platform engagement alone does not make for successful marketing strategies. Rather than simply focusing on follower count, companies should expand their metrics to include impressions, website visits, time on site, conversations, and bounce rate. These advanced measurements will serve to help you understand your social media activity and how it is helping you to meet your marketing goals and business objectives. One of the many perks social media provides companies is a platform to tell their story and build their brand. But the next social media bad habits companies are guilty of is under using storytelling as a marketing strategy. In this instance, storytelling means providing your audience with easily understandable snippets about your companies brand, why it exists, and how you do what your company does. These stories should be concise and easily digested in order to keep up with the fast-paced world of social media users; convey your story in a single post, or create smaller stories that stand alone and build your brand over time. A marketing plan that includes ongoing content will often result in a confused audience, especially if they miss the beginning of the story. When you first realize the amount of maintenance and content it takes to keep social media accounts running, it is easy to see the appeal of automation. But, we are here to tell you to break this bad marketing habit. While a couple of hours scheduling content means you will not have to look at the accounts until next month, it also means that your social media marketing is suffering. Automation can be useful at times, but it is best to use this resource in moderation because it can often lead to unwanted content issues if images and messages are uploading incorrectly. Taking the time to customize your content and uploading it in real-time will allow you to provide a superior user experience and better connect with your audience. Customers do not want mechanized correspondence, users crave human interaction and authentic communication that builds the relationship between business and consumer. In addition to unauthentic posting, companies also fall prey to the habit of not engaging with their audience. 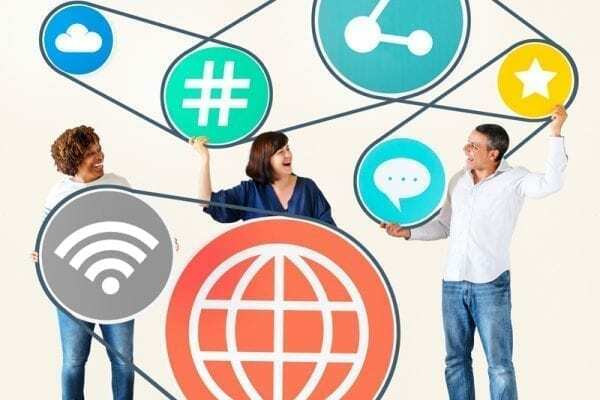 Social media marketing must go beyond the action of posting content, companies must engage and respond to the reactions and comments of the community. Not every single comment necessitates a response, but there is no sense in posting engaging content and then not engaging with your audience. If you would like more information about social media marketing, need help identifying your bad social media habits, or other digital marketing services, please contact Pink Dog Digital at (410) 696-3305, email us at info@pinkdogdigital.com, visit us on the web or fill out our contact form.